Here I am offering refreshing salad, rich of protein very quick and nutritious, with low calorie. Mostly it can be enjoyed as breakfast, mid-day snack on hot summer. It can be taken in combination with any fresh vegetables like tomato, onion, cabbage, bell papers corn flacks, coriander etc. You can season it simply with salt and black pepper. Some lemon juice make this source of protein very tangy, tasty and sumptuous. 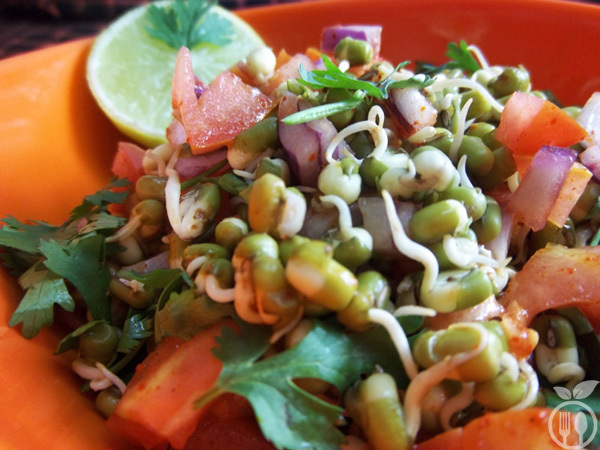 Moong Sprouts are effortlessly digestible, rich in fiber and different supplements. They have unlimited antioxidants which can secure us against numerous illnesses. No big surprise if they are known as the “super nourishment” or “well-being food”. Have you ever known about the Rainbow Diet? Rainbow Diet plan includes colorful fruits and vegetables. The most ideal approach to light up your eating diet is, to eat a rainbow food. You can also do lots of variations in this dish. 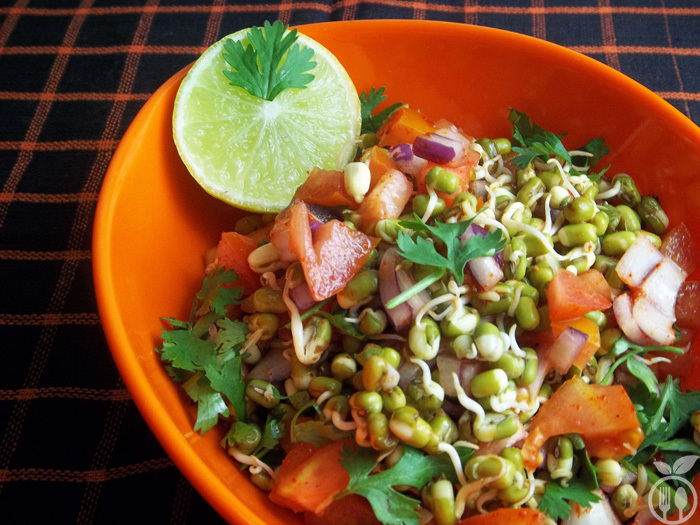 How to make Moong sprouts salad recipe with some healthy variations? You can add boiled potato in this salad to give more tangy taste. I have used raw sprouts, but you can also boil sprout or even do microwave. For boiling the sprout you can boil them for 10-15 minutes. Doing in microwave just put them in microwave proof bowl and little water around 3-4 tbsp and put in microwave for 2-3 minutes. Red, green or yellow bell peppers can give it rainbow look and also crunch to you salad. And yes this is also best stuffing for pani-puri recipe for making this street food recipe healthier for that you can add chat masala in stuffing. You can use some fried chips like sev, boondi, puffed rice to make it main course salad. Once the green beans are sprouted, you can store them in refrigerator for later use. You can store them in deep freezer for at least 15 days. This thoroughly enjoyable Sprouted Moong Salad can also be served as a starter at garden parties. For children, this is very healthy breakfast. If they don’t like only salad then you can make sandwich for this mix by adding hung curd and tomato ketch up. I am sure children love this healthy sprout sandwich. 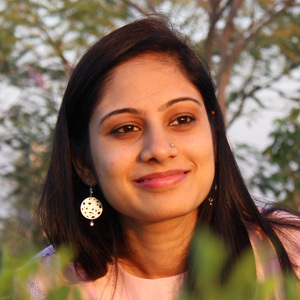 Soak Moong beans in water for 6-8 hours. Remove the water and keep the beans open for another 12 hours. For better result keep them into warm place. Either in sunlight or cover the bowl with some thin white piece of cloth. 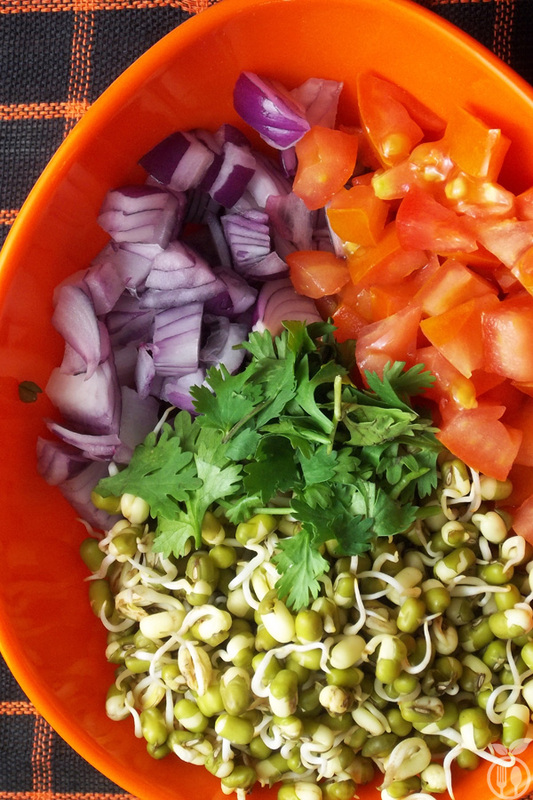 Mix all chopped veggies (tomato, onion and cilantro) with bean sprout. Add some lemon juice and salt and red chili powder. Mix them well and Moong Bean Sprout Salad is ready to serve. 1) This salad can be served by cooling it into refrigerator. You can store sprouts in freezer and when you want to make salad, you can add frozen sprout into freshly chopped tomato and onions. 2) I have also discover another recipe from this sprout by sauté them with little butter and some seasoning. I will share very soon when I have another batch of sprouted moong. This looks healthy and easy to make- I frequently use red onion with tomatoes in my salad, but I never thought of adding sprouts! Great idea and thank you ..